This fall she will start the next phase of her career as a Professor of English at Villanova University. Earlier this spring she was kind enough to sit down and talk to Inprint/UH Creative Writing Program Fellow Charlotte Wyatt about her writing, and her experiences living and working in Houston. CHARLOTTE WYATT: Congratulations on the new job! Those students will be lucky to have you. But first and foremost, I know you as a writer. How would you describe your work? ADRIENNE PERRY: I describe myself as a writer in the same way that I describe myself as a human being. I come from a biracial family and was raised in Wyoming during the late 70s through the early 90s. My mother’s family homesteaded in the eastern part of the state and my father’s family comes from Southern California via the southeast; land—as an idea and as place—matters to me. As an auntie and a feminist who identifies as female while seeing that category as fluid, I also hope to be a good friend. I believe in magic. Serious magic and ancestors. I am interested in getting free and, with that in mind, I realize I have my work cut out for me. I want to create and encounter art—of any stripe—that feels the same. CHARLOTTE: I so admire your clarity on that – well put! What brought you to the UH PhD Program? ADRIENNE: While finishing my MFA in creative writing, I applied to the PhD program at UH on a lark. Eager to figure out my next step post-MFA, I’d agreed to a college counseling position outside London. But when I got into UH, gobsmacked as I was, I realized there was nothing I’d rather do. As someone who studied religion and creative writing as an undergraduate, had a career in education, and then headed into a low-res MFA, one of the appeals of UH was the chance to balance creative writing with the study of English. Outside of the mentorship I’ve received and the chance to edit Gulf Coast for two years, the most valuable part of the program has been the study of literary theory and the practice of translation. Both of these fields have fundamentally changed my relationship to language and literature, making me (somehow) both more playful and more critical as a writer. CHARLOTTE: Knowing place is so important to your work, what has it been like to work and write in Houston? ADRIENNE: Houstonians—whether for a day or for a lifetime—are storytelling people, and the city’s literary ecosystem supports the sharing of story and song. Inside the loop, Houston can feel like a small town, and I’ve enjoyed getting to know artists and writers from across the city. Such a warm, welcoming community has also meant that I’ve been able to get involved with a number of organizations or initiatives that, in another major city, might have felt more out of bounds. Starting the Writers of Color workshop with Elizabeth White-Olsen at Writespace, teaching at Inprint, joining the DiverseWorks Artist Advisory Board, being schooled by sassy 4th grade writers through Writers In The Schools, and having friends and colleagues engaged in wildly creative, interdisciplinary work—all of these have fueled my writing and feel unique to Houston. CHARLOTTE: You gave a talk at the Contemporary Arts Museum of Houston later this spring; what led you to that speaking engagement? ADRIENNE: I met the curatorial and programming staff at CAMH during my tenure as editor at Gulf Coast. The intersections of art and literature drive the journal, but they also interest me deeply. There’s a lot I’ve stolen or borrowed from my friends and other artists in dance, performance, and the visual arts. When Felice and Dean reached out, I was more than happy to have the chance to speak about the upcoming exhibit. CHARLOTTE: That’s great! And while I know we’re going to miss you here, what plans and projects do you have in mind after graduation? ADRIENNE: Immediately after graduation, my sweetheart Christian (also graduating this spring!) and I will celebrate with our friends and families! After the festivities die down, I plan to focus on my writing projects and community involvements, such as The Houston Flood Museum and teaching my last Writers of Color workshop at Writespace. I was fortunate to receive a grant from the Elizabeth George Foundation this winter, which will allow me to focus on my novel See Through Girls this summer. I am also chipping away at a series of essays that braid together family and Wyoming history, focusing particularly on the Black community in Wyoming and the experiences of people of color in the American West. Thank you Adrienne for making Houston home for a while and being a beloved member of our literary community! Charlotte is an MFA student in fiction at the University of Houston. 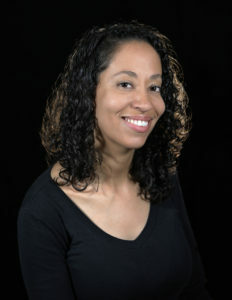 She is the Fiction Director for the Napa Valley Writer's Conference, and serves as a Fiction Editor for Gulf Coast: A Journal of Literature and the Arts. She is at work on a novel.